16 – Hulchul Vinod Khanna,Kajol. * Ajay Devgan was born on 2nd April 1969 in New Delhi, India in a Punjabi family. * His birth name is Vishal Devgan but he prefers to use Ajay Devgan as his screen name. * His father Veeru Devgan was a stunt choreographer & his mother Veena was a film producer. * Ajay brother Anil Devgan is a film director and he directed his brother’s two movies namely ‘Raju Chacha’ and ‘Blackmail’. * Ajay Devgan attended “Silver Beach High School” and “Mithibai College” both in jahu and Mumbai respectively. * He entered the film industry as a child artist he appeared in ‘Pyari Behna’ in 1985 as a child. After completion of his education he developed interest for films and he made his acting debut with Phool Aur Kaante in 1991 and the film was a huge hit at box office. 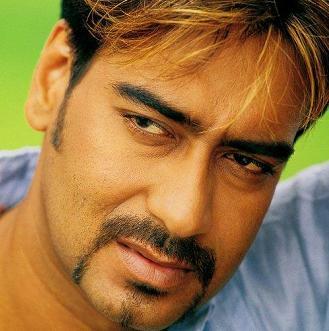 Ajay won ‘Filmfare Award for Best Male Debut’ for his performance in the film. * In 1990 decade he worked for major hit movies, his second film ‘Jigar’ opposite Karisma Kapoor in 1992 was also a huge commercial hit. His major films include Harry Baweja’s Dilwale in 1994 alongside Sunil Shetty and Raveena Tandon, Kuku Kohli’s Suhaag in 1994 alongside Akshay Kumar and Karisma Kapoor, Farouq Siddique’s Vijaypath in 1994 opposite Tabu, Harry Baweja’s Diljale in 1996 opposite Sonali Bendre, Ishq in 1997 alongside Aamir Khan, Juhi Chawla and Kajol, Major Saab in 1998 alongside Amitabh Bachchan and Sonali Bendre, Pyaar To Hona Hi Tha in 1998 opposite Kajol, Hum Dil De Chuke Sanam in 1999 alongside Aishwarya Rai and Salman Khan, Kachche Dhaage in 1999. * In 2000 decade Ajay Devgan was able to deliver several hits including Ram Gopal Varma’s ‘Company’ in 2002, The Legend of Bhagat Singh in 2002 for which he won “National Film Award for Best Actor”, Deewangee in 2002 alongside Akshaye Khanna and Urmila Matondkar, Bhoot in 2003 opposite Urmila Matondkar, Qayamat in 2003 alongside Sunil Shetty and Sanjay Kapoor, Khakee in 2004 alongside Amitabh Bachchan and Akshay Kumar, Kaal and Apaharan in 2005, Golmaal and Omkara in 2006, Golmaal Returns and U, Me aur Hum in 2008, All the Best in 2009. * In 2010 decade he appeared in major hits like Atithi Tum Kab Jaoge? alongside Paresh Rawal and Konkona Sen Sharma, Raajneeti in 2010 alongside Nana Patekar, Ranbir Kapoor and Katrina Kaif, Once Upon a Time in Mumbai and Golmaal 3 in 2010, Singham in 2011 was a blockbuster of the year, Bol Bachchan in 2012 alongside Abhishek Bachchan and Asin. * Ajay Devgan married Bollywood actress Kajol on 24th Feb 1999, the couple have a daughter Nysa born in 2003 and a son Yug born in 2010. * Devgan is the first Indian actor who got a private jet for promoting his films.